The Valid Tracking Rate (VTR) includes all shipments with a valid tracking number, represented as a percentage of total shipments over a 30-day period. VTR only applies to seller-fulfilled orders. Amazon customers depend on tracking numbers to find out where their orders are and when they can expect to receive them. The Valid Tracking Rate is a performance metric that reflects those expectations. All major US carriers, including USPS, FedEx, UPS, and DHL now offer free tracking. Our policy states that sellers must maintain a VTR greater than 95%. A VTR below 95% in a product category can result in restrictions on your ability to sell non-FBA (Fulfillment by Amazon) items within that category. This can also affect your eligibility to participate in Premium Shipping and guaranteed delivery . Note: Performance targets for Premium Shipping orders vary from the above. See Premium Shipping and guaranteed delivery for more information. Items shipped by freight with a carrier not integrated with Amazon. Small items (such as screen protectors and greeting cards) that cost less than $10 (including shipping charges) and are shipped in USPS Standard Mail envelopes or First Class Mail envelopes. If you do not meet the 95% target in a specific category, you risk losing your ability to sell non-FBA (Fulfillment by Amazon) items within that category. To add a tracking number for an order, select the Orders menu and then click Upload Order Related Files. Where Amazon integrated tracking solutions are available (such as China Post Express and Logistic ePacket service), we require valid tracking numbers for at least 95% of your shipments on orders greater than $5.00 (price including shipping). If you sell fast-moving, small, and light products that are generally priced under $10, you might consider FBA Small and Light program. This program offers lower fulfillment costs and Amazon will fulfill the orders for you. Learn more about this program . 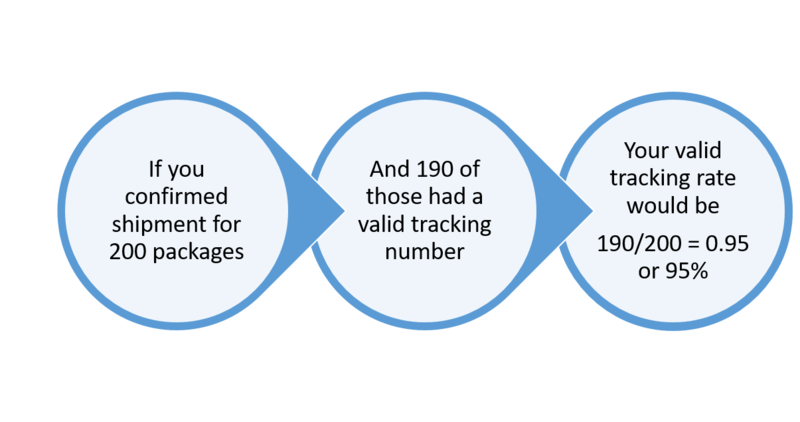 To calculate this metric, we take the number of packages you ship with a valid tracking number and divide it by the total number of packages you've shipped and confirmed. For example, if you confirmed shipment for 200 packages, and 190 of those packages had a valid tracking number, your Valid Tracking Rate would be 95% (190 ÷ 200 = .95 or 95%). Note: Tracking numbers are considered valid only if they have at least one carrier scan recorded. We use promised delivery date to determine which orders are included in the metric. Your Valid Tracking Rate has a two-week lag, giving the data enough time to be statistically relevant. Select the Valid Tracking Rate tab. Scroll down and click the Download Report button. Deselect Shipped late and Delivered late options to view orders with invalid or no tracking information. Please allow 72 hours for the report and metric to reflect any updates.